Ken Loach | Cinema, etc. 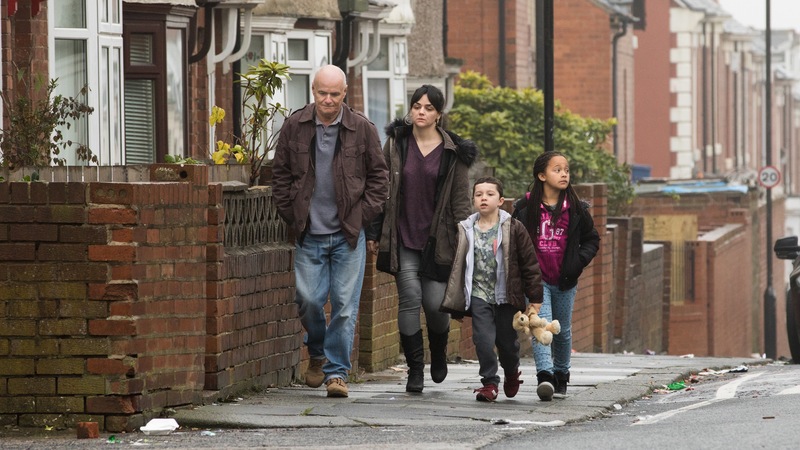 Of the many great films released in 2016, few left their mark on my conscience quite as much as Ken Loach’s “I, Daniel Blake”. I held off from reviewing it at the time, but decided to revisit it recently for a second time to make an honest attempt at reviewing it. The film follows Daniel Blake (Dave Johns), a 59-year-old joiner on the living in Newcastle. He finds himself out of work after an suffering a heart attack has forced him to take a break, with his doctor telling him he cannot return for fear of another attack. He is navigating Britain’s complex benefits system in search of Employment and Support Allowance, for which he needs a Work Capability Assessment (undertaken by government workers and is completely separate from his own doctor’s assessment). Whilst at the job centre, he notices single-mother-of-two Daisy (Hayley Squires) having an argument in the job centre. They soon strike up an unlikely friendship as they continue to come up against brick walls that force them to make increasingly tough decisions. Typical of Loach’s output, many of the actors involved in the film are amateurs. This might give the film a rough-around-the-edges quality but equally provides a realism as the story develops. Knowing this prior to watching the film allowed me to give it some leeway on the performances. The plot developments as the two characters get embroiled in complication after complication are akin to a horror film. Our lead character is behind on his bills and struggles to use computers, meaning he can’t navigate the government websites to retrieve the correct forms to fill in to access the benefits he’s entitled to. It’s overwhelmingly frustrating and will be familiar to anyone who has ever found themselves in a similar situation. Squires’s performance is absolutely striking. The most harrowing memory of the film for most viewers will inevitably be a highly memorable scene at the local food bank. Rightly so – it’s a performance something taken to an entirely different level by her delivery. It’s unsettling, which is obviously its intention. She’s a great find in her debut role and will undoubtedly go on to even greater roles. But the film isn’t about the actors, or about delivery of certain lines. It is solely a commentary on the broken support systems provided for the many 1000s of people in Britain who they should be helping. There are a small few people who endeavour to exploit a system, but in doing so they provide an excuse for those in charge to make the processes overly complicated for everyone. Far more disturbing than this, the small few that do successfully exploit the system are handing media outlets the ammunition to criticise the rest, tarring them all with the same brush. Shamefully, most of Britain believe what is written in the media and assume the worst of people who are in dire need of assistance. For all its shortcomings, this film shines a light on some of the most pressing issues facing a country that is supposed to be in a fantastic state. Whether you like it or not, the message is one that simply can’t be ignored. Ken Loach has become the eigth filmmaker in history to win the Palme d’Or on more than one occasion, for his film ‘I, Daniel Blake’. Here’s a list of winners in full.